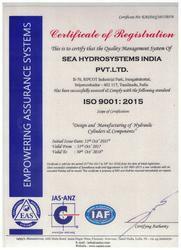 Incepted in the year of 2010, we "SEA Hydrosystems India Private Limited", are a leading and eminent organization of the industry engrossed in manufacturing and supplying a commendable array of Hydraulic Cylinders. Product offered by us includes Hydraulic Cylinders, Hydraulic Cylinder Rods, Parts, and Accessories, Bearing Products. We are manufacturing all our offerings with utmost care as per the industry defined norms and standards. Our offered products are highly demanded by the various industries such as construction machinery, material handling, road vehicles, agricultural & forestry, customized design industries. Our Infrastructure facility is spread over 7000 Sq.Mt land area at Sriperumbudur, near Chennai, South India. This large-scale industrial area and it is well connected to the ports. Also, it is surrounded by multinational manufacturing companies. we select imported raw materials, strict quality checks and state-of-the-art manufacturing tools, you will find that every cylinder that carries the seal of our firm is a work of art that houses power, performance, precision, and endurance. With the constant assistance of our mentor "Mr. S. Ravi", we are growing in this realm. We are in the process of setting up service and contact centers in Singapore and Australia, to make sure that reduced service turnaround time, minimal costs and low production downtime for our precious clients. SEA Hydrosystems has been awarded STAR STATUS by the Govt. 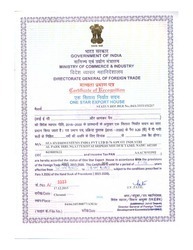 Of India for its remarkable achievement in Exports. The team has the experience and knowledge needed to address the challenges of our clients. Our team members are regularly trained. They use design tools such as 3-D modeling CAD to decrease the design to production time, low design errors, and have the ability to share the end drawing with our clients for their exact needs. Our designing team also works closely with manufacturing teams to satisfy the client in most effective way. Owing to our high quality range of products, we have become famous in construction machinery, material handling, road vehicles, agricultural & forestry, customized design industries. We are offering our products at leading market price as per the set quality norms and standards.